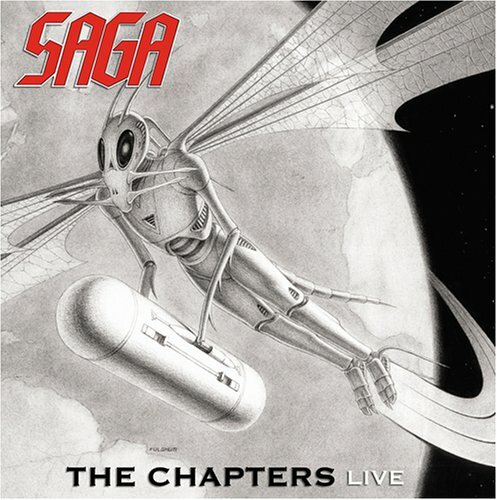 It must be their unique mix of years of experience, a never-ending supply of great song ideas and their unique overall sound that accounts for the fact that Saga have been at the very top of the Progressive Rock music scene for over 25 years. Whenever Michael Sadler, Ian and Jim Crichton and Jim "Daryl" Gilmour get together to play music, the result is always unmistakably Saga. After achieving hit-record success in the 80’s with songs like Wind Him Up and On The Loose, Saga continue to soldier-on into the new millennium. Inside Out Music is proud to now have the band as part of our family. The Chapters Live will be the first time that this conceptual story will unfold. All the music was released on previous studio releases, but this is the first time that the story is played in order and actually makes intended coherent sense. If you have any questions about this product by Inside Out U.S., contact us by completing and submitting the form below. If you are looking for a specif part number, please include it with your message.